Prague has become a very attractive city for backpackers & budget travellers and an ideal destination for those seeking a unique city trip owing to it's charming fairy-tale-like medieval character, rich history & vibrant culture and, of course, an exceptional nightlife. Prague is relatively inexpensive to be in; beer, food and beds are pretty cheap compared to most other European cities while it's location, slap-bang in the centre of Europe, makes it an inviting stop enroute to or from other key cities such as Budapest, Vienna, Kraków and Berlin. 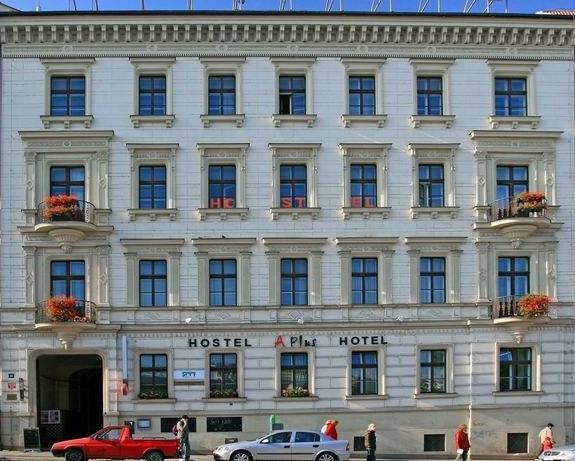 Many hostels, hotels and holiday apartments have sprung up over the past 15 years or so in line with increasing visitor numbers and today you have a huge array of accommodation options to choose from so, to help your decision-making process, we bring you our top 10 hostels in Prague. 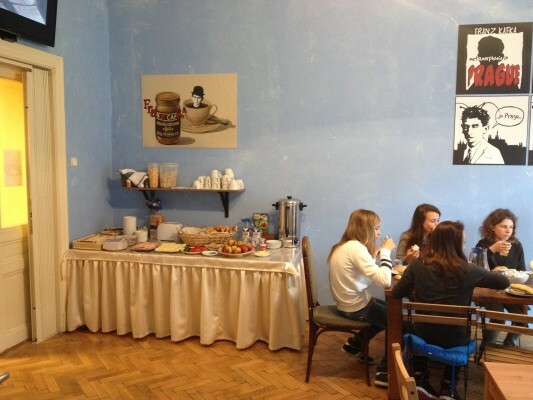 Your stay at A Plus Hostel Includes a decent breakfast absolutely free, which is always a bonus while on a budget. The hostel has its own bar & restaurant offering very good value on traditional and international dishes, as well as a basement lounge and garden providing comfortable space for interacting with fellow travellers. 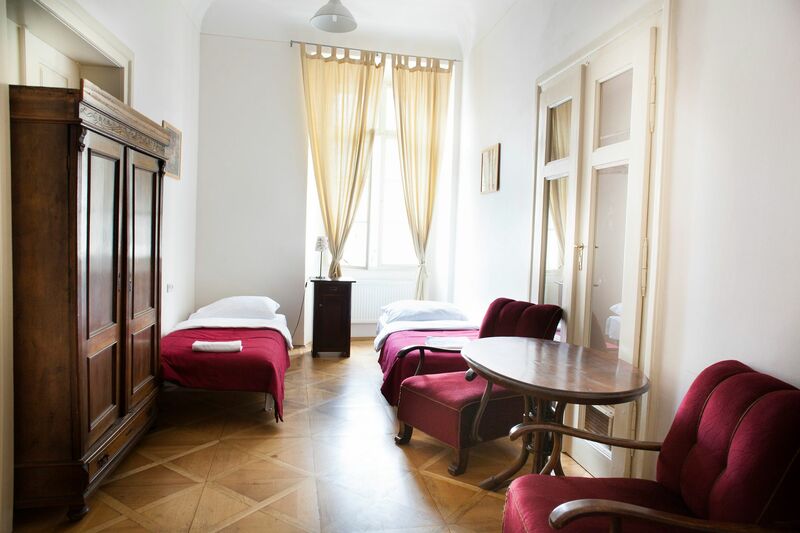 It's a large hostel, relatively speaking, and as such offers up to 14-bed dormitories which isn't overly common in Prague where 4, 6, and 8-bed dorms & private rooms tend to account for most of the hostel itinerary in the city. 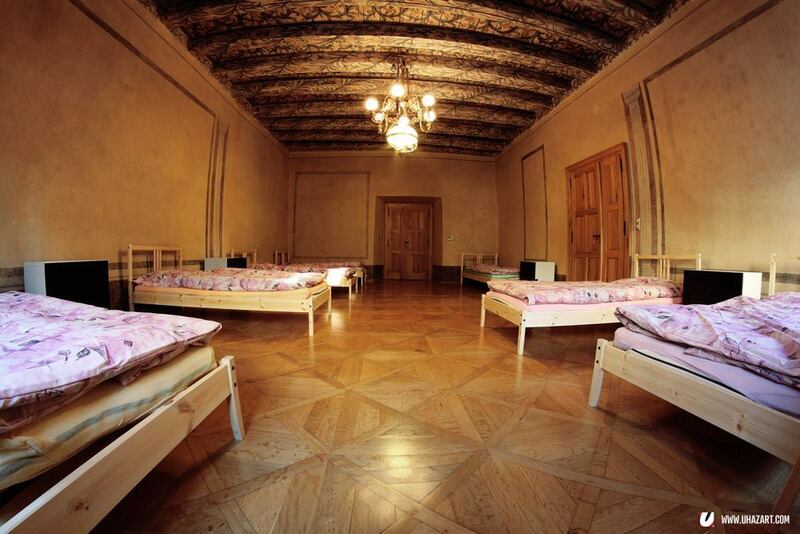 They also offer female only dorms for those girls who prefer not to share a room with smelly boys. The location is good, within walking distance of Old Town Square and close to both a metro station and Florenc station, a main metro-line transport hub. Opened in 2012, The Mad House is a balls-out, proud party-hostel with a focus on meeting others, making party-buddies and having proper fun. 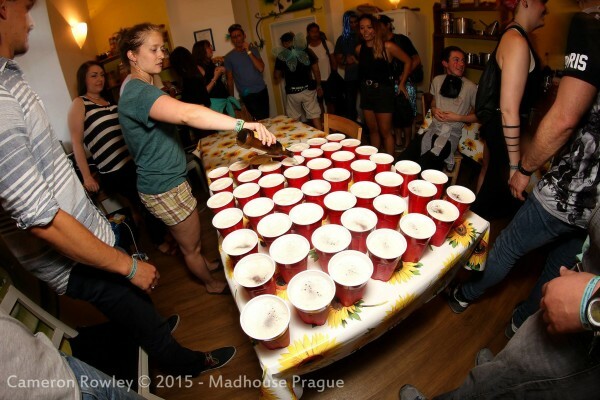 Despite the somewhat loud and impressive graffiti-style artwork adorning the walls, there is a very chilled-out and familial vibe about the Mad House by day while every evening sees a party atmosphere in the common kitchen area, complete with beer-pong of course before the Mad House family hit the town together. This multi-award winning hostel does more than offer a great place to sleep, it manages to offer you an experiential stay in Prague and at the centre of those experiences are the other like-minded revellers made up of both the staff and your fellow travellers at The Mad House. Great dorms, cool style, happy staff and good location makes this the ultimate choice for those of you who like a bit of madness on your travels! As Prague was spared for the most part from bombing during the war, much of it's Old Town & little Town and surrounding buildings are completely original, adding a pleasing aesthetic quality to the cityscape unrivalled by that of neighbouring capitals. Arpacay Backpackers Hostel is located in a 16th Century historic building close to Prague Castle & Charles Bridge and offers delightful panoramic views from many of its dorms and rooms and from the rooftop garden of the Valoria restaurant located on site. The dorms in Arpacay are light-filled and spacious, many featuring characteristic exposed wooden ceiling beams, and contain personal security lockers and reading lights per bed. There is also a female only dorm option. There's a courtyard balcony and lounge among the common areas to chill out in and meet other travellers while a self -catering kitchen and all you can eat breakfast buffet for just €3 means you won't break the bank. The entire hostel is finished to a high standard and is stylish and clean throughout while the staff are very friendly and fun. This is a small, family-run independent hostel which opened in 2010 and it feels familial, homely & cosy with a very friendly and sociable atmosphere. Indeed, the common area where the reception is located is literally the sitting room while tasty hostel family dinners are served every evening for just €2. There's also a self-catering kitchen and, of course, a lot of art among the decor which adds to the vibe. 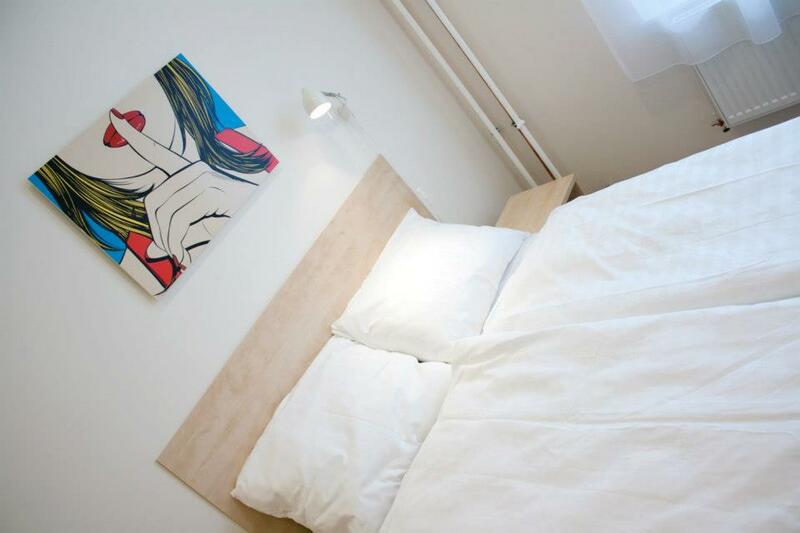 While the walls are adorned with interesting artwork, the face of this hostel is the very friendly crew who run it; super friendly and approachable, actively taking a genuine interest in you and your story. If you're a solo traveller and want to easily meet other people in a laid-back atmosphere then Art Hole Hostel is for you! Hostel Elf has been making its mark on the Prague hostel scene since the year 2000 and still has a kind of old-school backpacker vibe about it, which is quite refreshing. It's a sociable place and budget traveller conscious and this is reflected in the fun events & exceptional value offered. During low season you get your 5th night free, there's free all you can eat breakfast, free tea & coffee 24/7, free dinner on Tuesdays, free BBQ and mulled wine on Thursdays, half-price beer happy hours regularly and even free movie nights with free popcorn. Not too shabby! It's an ideal hostel for solo travellers or for groups looking to meet others and has a very personalised feel; artwork from local Czech artists, friendly, cool staff & vibrant common rooms and a chilled-out garden terrace all add to the sense that Hostel Elf is imbued with the personality of the fun-lovin', unencumbered backpacker – happy doing what it does well, without taking itself too seriously. 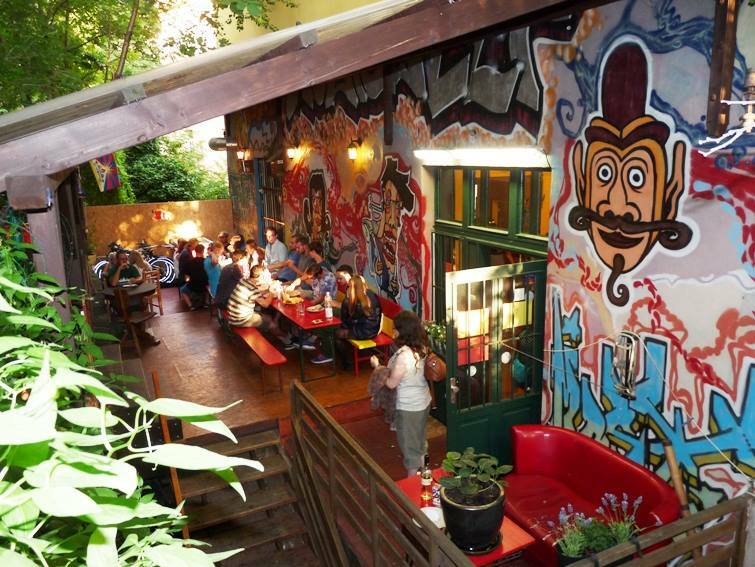 Located very close to Prague's main central bus station, Hostel Florenc is a funky and colourful place to stay on the fringes of the hustle and bustle of the city, about 15 mins stroll from the centre. It's peaceful, clean and secure and decorated with a mixture of retro appeal and a modern finish. Spacious rooms include private suites, triples, quads and dorms which, interestingly, are devoid of bunk beds – ideal for those of you with an aversion to being allocated a top bunk. Nice common areas, outdoor terrace, self-catering kitchen, free breakfast & towels and a steam room make Hostel Florenc a great base in Prague. Slap bang in historical Old town, Hostel Franz Kafka is named in honour of one of Prague's favourite sons, the writer of world-renowned novels and short-stories, Franz Kafka. With a good selection of dorm sizes, clean bathrooms & shower facilities, tidy kitchen and chilled-out dining and common areas this hostel has everything you could want for a comfortable and enjoyable base in the Czech capital and, with the Old town square mere metres from the door, it's in a perfect location too. Like Hostel Franz Kafka, this hostel too is named after a much-loved personality, the unmistakable Homer J. Simpson, while the 'Home' element in the name is more than coincidence or clever word-play. Hostel HomeR does feel homely, but not over-bearing. It's got a very laid-back atmosphere in a beautiful 16th Century building, spitting distance from both Old town Square and Wenceslas Square. The location could not be better. With balconies, comfortable common areas, very well equipped self-catering kitchen facilities, plenty of bathroom facilities and delightfully friendly & helpful staff - Hostel HomeR is to the backpacker in Prague what Duff beer is to Homer himself; cool & satisfying. As the name would suggest, this Baroque-style property is located in the Little Town district of Malá Strana, about 400 metres from Prague Castle. The rooms and common areas, indeed the building throughout, is elegant and stylish with a characteristic traditional feel. With their own bar and restaurant, they offer apartments for couples or parties of 4 and 5 so this is an ideal option for a small group of you visiting Prague together on a budget. This is a pretty new hostel (both pretty and new) located a mere 5 minutes walk from Old Town square. Opened in 2011, Ahoy! is located in a 17th Century building with high ceilings and a spacious feeling throughout but manages to feel cosy while being elegant and edgy, stylish and fun; the decor and furnishings of common areas are vintage chic mixed with cleverly recycled materials and stylish details while the dorms are painted by local artists. The custom-made steel frame bunks are sturdy and the ladder is tilted from the top bed direct to the floor, which is easier to scale following a few beers and is a considerate nod to the bottom-bunk dweller. Staff are really nice and knowledgeable and add to the comfortable, homely vibe of Ahoy! while the fully equipped self-catering kitchen, free tea & coffee, beers, board games and more makes Ahoy! 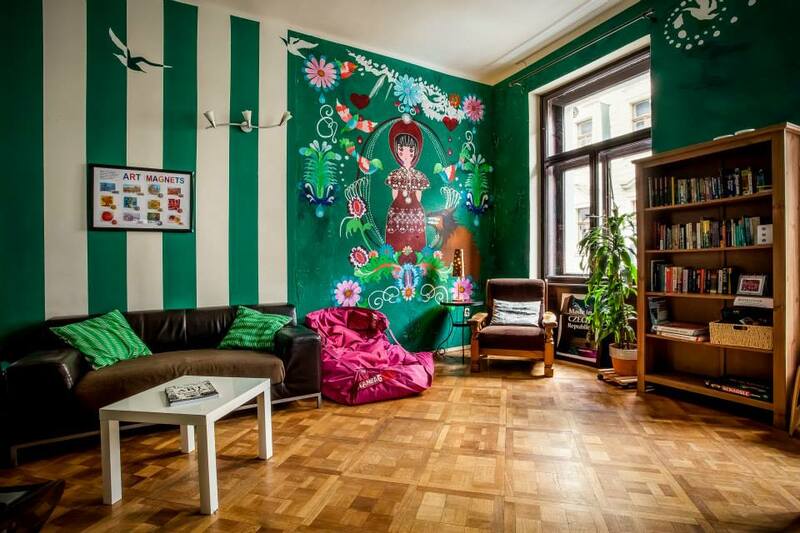 A really great hostel to base yourself in during your Prague adventures. Have you checked into one of these hostels before? Let us know what you thought of it!